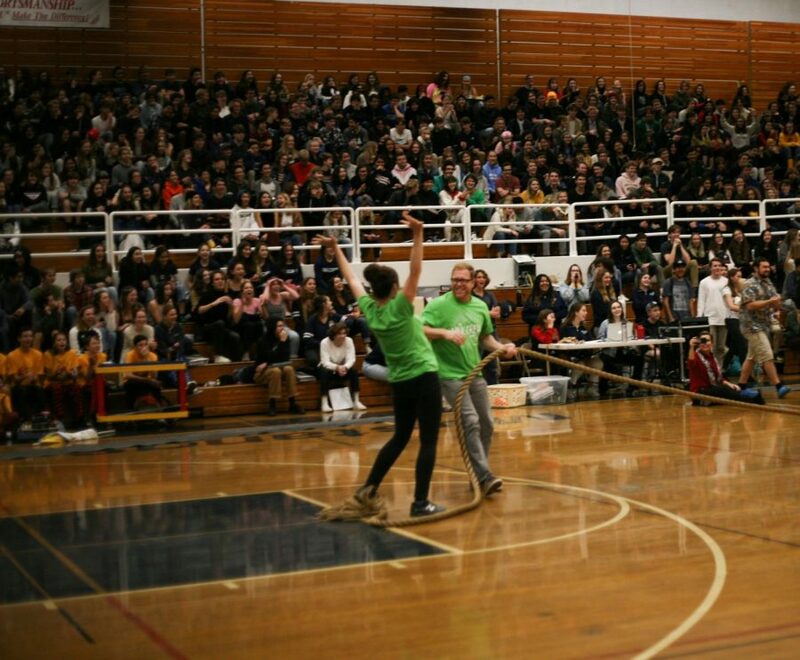 ASL teacher Kelly Baggins and English teacher Robert Ross celebrate after they win the teacher tug-o-war. Today’s assembly featured a student life video, a sports video, several student and staff games and a formposal. Current ASB student body members welcomed and announced the new ASB student body members that will take their places in the next semester.